The average cost of living at university... revealed - Which? How much do you need to live on at university? We've crunched the numbers to reveal what you can expect to roughly spend on food, going out, accommodation etc., plus tips to keep slash these costs. Once you get to university and you're fending for yourself, you might be surprised how much a shopping basket of essentials or a water bill actually comes to. On the other hand, there may be some costs you’re told you’ll need to factor into your budget which you won't need to worry about. Accommodation will probably be your biggest expense. Because it's difficult for us to give you an average figure, we cover this separately. This will depend on the city you’re studying in, as well as how far from home you’ll be (and how often you plan to visit). Note, this includes any costs that comes with maintaining your own vehicle (eg petrol, insurance). Smaller cities like Edinburgh can be covered by foot or bike (healthier for you and your wallet), whereas the likes of Manchester or Birmingham will make public transport more of a necessity. You could take your car to uni, which may be handy if you plan to drive home on weekends; however you’ll need to consider costs like petrol or insurance, as well as practical things like parking on campus. Beware, your travel costs may spike after first year, if you move off-campus and you need to get to lectures or the library most days. Tip: book your transport home for the holidays as early as possible to get cheaper tickets. Buying tickets on the day is always way more expensive. Don't rely on one supermarket for all your groceries (especially 'express' stores, as these are often more expensive for their convenience). Shop around to find the best deal for different items, buy non-brand, budget items, and take up stores where they offer to price-match. There will be some items everyone in your halls/house will use, which you can buy cheaper in bulk (think toilet roll, rice and tea bags). Just remember to take an extra pair of hands to the supermarket if you buy large quantities in one go. Tip: plan your meals for the week ahead (and stick to this). You'll be surprised how much you'll save in spontaneous takeaways or quick-but-pricey ready meals. 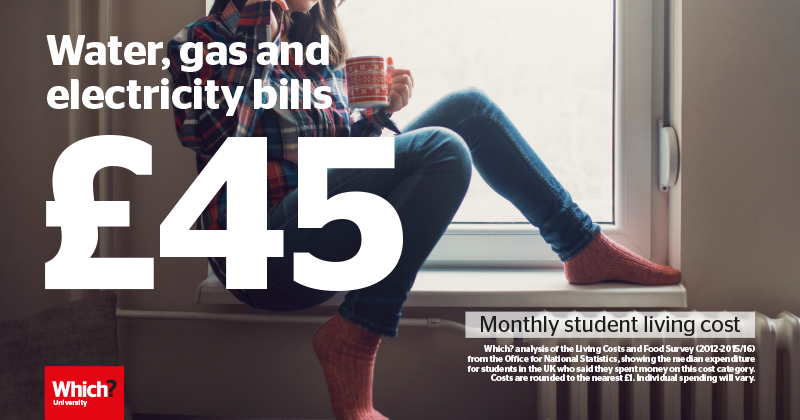 Utility bills like this will be included in your rent for halls – that's one less thing to think about as you adjust to living away from home. However, when you move into a private house or flat-share, you'll have to keep an eye on how long you spend in the shower or when you turn the heating on. That said, you might be lucky and find a property where utility bills are included in your rent. Tip: see if there's a cheaper gas or electricity tariff you could be on with our Which? Switch for renters tool. Ask your landlord or letting agent first if you can change suppliers. 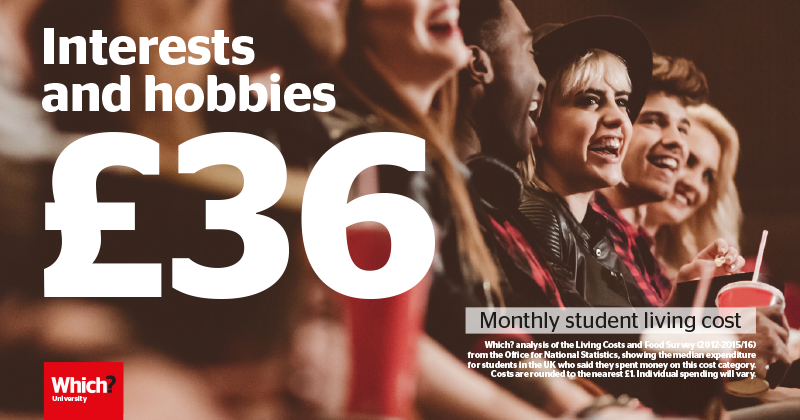 Don't drop the activities and hobbies that make you happy; these can help you meet people who share the same interests, as well as cheer you up when university life gets a bit much. Gym fees making you sweat? Run outdoors or find organised sports games. Gaming geek? Sell old games and consoles you don't play anymore, to fund your habit. Mad about music? Get your live fix at local gigs featuring up-and-coming bands, rather than splash out on tickets for big acts. You'll likely be living in campus halls in first year, paying rent at the start of each term; so before you know it, a big chunk of your student loan will have disappeared. On the bright side, your most important expense will be off your plate (for the next two to three months at least), along with water, energy and internet costs. Hall prices will vary from one university to another, as well as depend on what quality you go for. Modern furnishings and en-suites come at a price, so if you're on a tight budget, look at cheaper, basic options. This is something to ask about at open days, where you'll probably get a tour of different hall options. 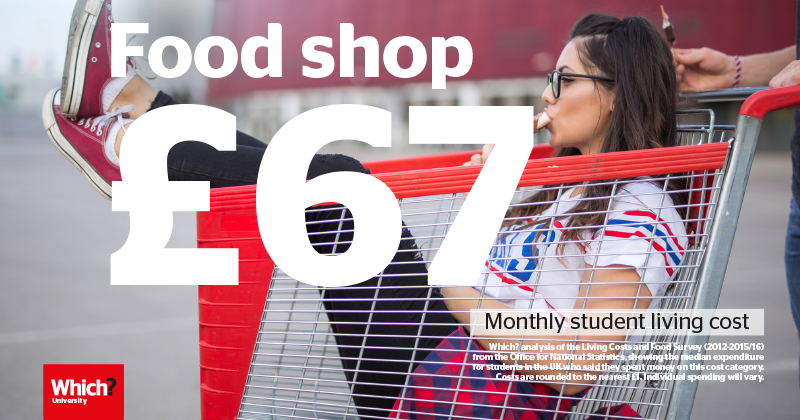 In second and third year, most students move into a privately-rented house or flat off-campus, paying rent at the start of each month to a landlord or letting agent. There are big differences in rent prices depending on where you are in the country. Living in London for university – with its endless list of things to do and see – comes with a price (between £533-£770 roughly). If you're living away from home in London, you'll be eligible for a higher maintenance loan. Resist the urge to go shopping the moment your student loan goes in; you probably (most definitely) have all the clothes you need, especially if you pack properly for term and avoid these common laundry mishaps. Once you graduate, you can say goodbye to long summer holidays, so make the most of the time off now. Put a little aside from that part-time job for flights, package holidays, accommodation and spending money. This is a frustrating expense you can avoid simply by banking smartly. When choosing a student account, look for one with the largest interest-free overdraft and set up text alerts to monitor your spending. The odd takeaway or shop-run for biscuits when you're working on an essay is fine. Making this a regular part of your diet won't do your wallet – or waistline – any favours. Internet is usually included in rent for halls (and perhaps private accommodation). But you'll need data to Snapchat friends when bored in the library and occasionally call home to let them know you’re still alive. Check how much data and minutes you actually use in a month. You might be surprised how much you're paying for something you don't come close to using up. If you're finding and paying for your own broadband deal, use Which? Switch Broadband to find the best and cheapest offering for you. All you need to do is tell us your postcode! Generations of students avoid forking out on expensive drinks at clubs and gigs by buying alcohol to pre-drink at home. And while it can be more cost-effective for a night out, it still adds up if you go out a lot. While you probably won't be splashing out on luxury spa days on a student budget, you still don't want to let your hygiene and appearance slip (if only out of consideration for those sat next to you in lectures...). If you need a cheap haircut – perhaps for an upcoming job interview – and you don't trust your housemate to do it, see if any local salons or hairdressing schools offer free cuts or discount rates. Those early lectures can be difficult without a caffeine fix; but those grande macchiatos with the heart in the middle add up quickly at a few quid a shot. If you're fiercely loyal to your favourite coffee place, at least pick up a giftcard so every 10th or so cup is free. In fact, this is a brilliant little stocking-filler gift for any coffee-loving student. Everything else, from stationery and materials for your course, to household gadgets. Things like childcare or nursery fees also fall into this category, which might be relevant to you (especially if you're a mature student). Check what furniture and appliances will be provided before moving into halls or a property to save you paying out for something you don't actually need. You can also coordinate with your housemates so you don't end up with four kettles (but no bottle-opener). 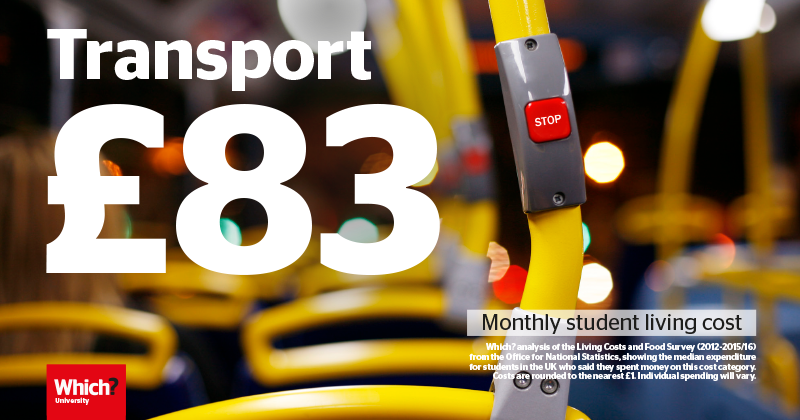 See what you'll roughly spend on accommodation, transport, food, going out etc. at your university with our student budget calculator. Costs above are rounded to the nearest £1. * University halls data: collated from cheapest non-catered hall prices, as advertised on individual university websites, correct as of February 2018. ** City private rental data: combining 2011 Census data to identify student areas with SpareRoom private rental data for these (from April 2017-March 2018), showing a range where low = 25th percentile and high = 75th percentile. All other data: Living Costs and Food Survey (2012, 2013, 2014 and 2015/16) from the Office for National Statistics, showing the median expenditure for students in the UK, with figures adjusted for inflation and omitting those who didn’t spend anything on a particular cost category. Learn more about where we get our data from. 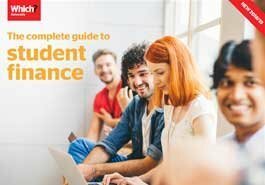 How to bank smartly as a student, including the best and worst student accounts, how to open an account, overdrafts and more.